Fitdigits now features a revamped user interface for iCardio, iRunner, iWalker and iBiker. The streamlined menu allows you to navigate throughout the app easily and quickly. To access the menu, tap the three horizontal bars in the top left of the home screen. Profile / Name – Set and edit information like your name, profile picture, height, weight, fitness level, email and more. My Upgrades – This will show you your current purchases or allow you to upgrade for some great features and functionality. Activities – View a complete list of all workouts and activities tracked with Fitdigits. Daily Activity – View your steps and calories over small and large periods of time when paired with Apple Health, Google Fit or one of our other daily activity providers. Goals – Set goals for activity, steps, weight and more. Health Vitals – Keep track of weight, blood pressure, resting pulse, sleep and connect, either manually entered or through our health partners. Groups – List and manage the groups you belong to or start your own group if you are a Star member. 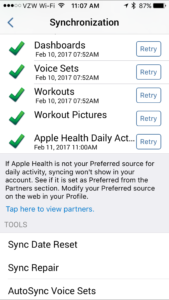 Partners – Link and manage all your partners, daily activity and steps providers, and other health partners and providers. Sensors – Go here to pair and manage compatible Bluetooth Low Energy Sensors. 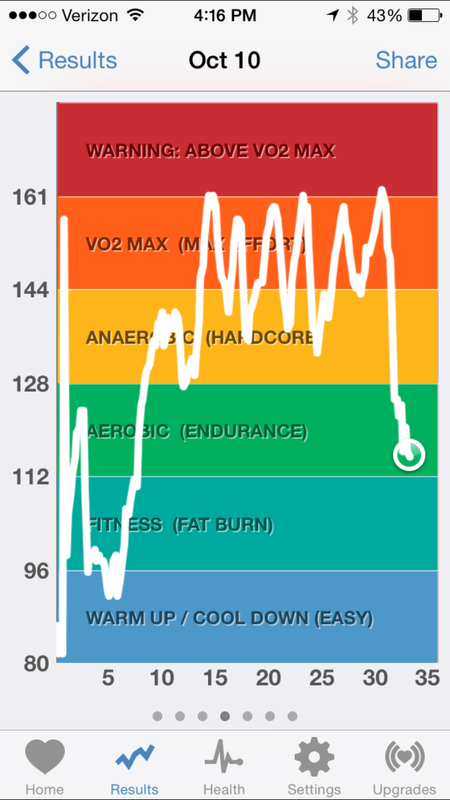 Sync – This syncs all of your data to make sure there is a safe backup and so you can view workouts on my.fitdigits.com. Settings – View your app settings and customize them. Support – Email support, send a Debug log, read tips and tricks about using and troubleshooting the apps. Where did Fitness Assessments go? 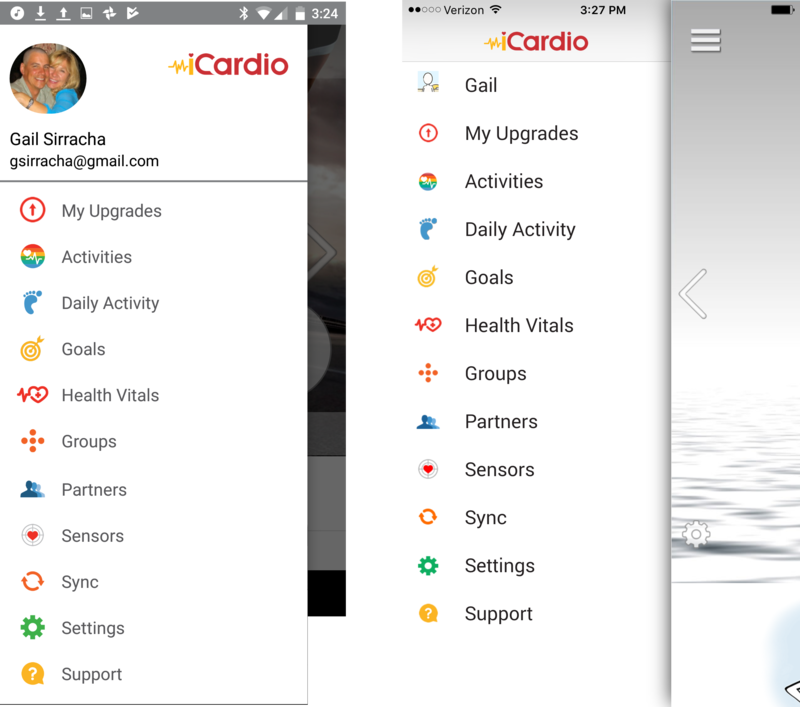 Since the activity you do the Fitness Assessment in is so critical to the assessment, access them from the gear / options icon to the left of the quick start button when you are in the home screen with the activity type you want to do the assessment with selected. 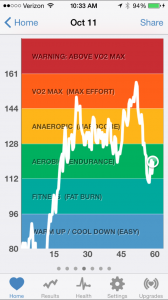 Your resting heart rate tells you a lot about your heart health and training levels. 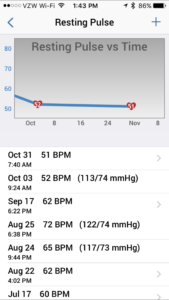 See The Importance of Resting Heart Rate to check out all the fun ways your resting heart rate can help you on your journey to a healthy and fit life! And we make it easy to track. Taking your resting pulse is simple and only requires your fingertips and a stopwatch. 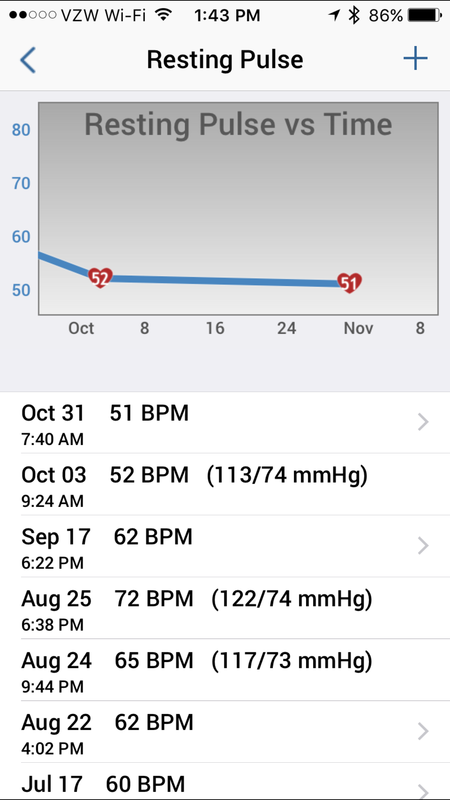 We also take your lowest heart rate reading every day automatically with the Apple Watch, if you have one. Ideally, take your resting pulse in the morning right after you wake up. 3. Tap “+” sign located at the top right of the screen. 4. Enter your Resting Pulse, tap Save. You can also change the date and time if you are entering a resting pulse from a previous date. 2. Tap delete and the entry will be erased from your dashboard. Sleep is critical for boosting brainpower, peace of mind, improving your exercise and performance and even necessary if you want to lose weight. Sufficient sleep has been linked to lowering risk for heart disease, obesity, and diabetes. Get enough sleep to perform, look and feel your best. Why Should I Track My Sleep? Trouble falling asleep, staying asleep or frequently waking up? Track your sleep to help identify your sleep challenges and trends. Often, making a few changes to your habits and routine can positively affect your ability to get a good night’s sleep. 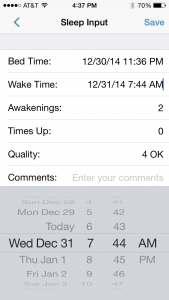 Fitdigits offers two options to track your sleep. You can either use a Fitdigits compatible sleep tracker and have your information automatically sync to Fitdigits, or manually enter in the sleep information. 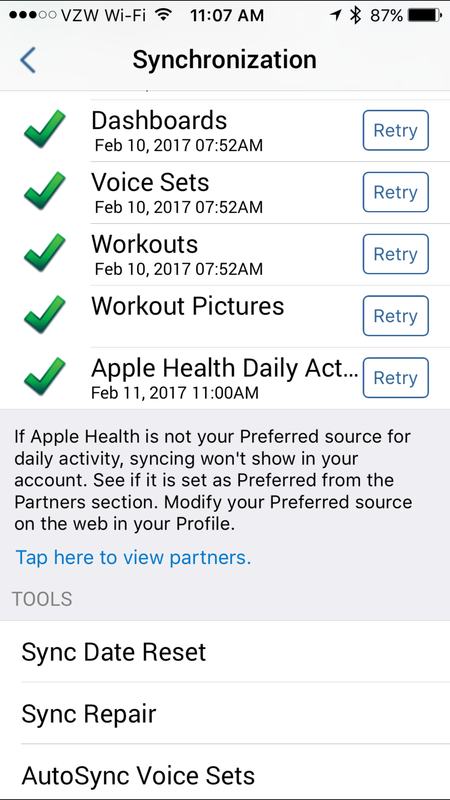 Just link your account on the my.fitdigits partners page or from the Partners section in your app, and your sleep data will fill in automatically! 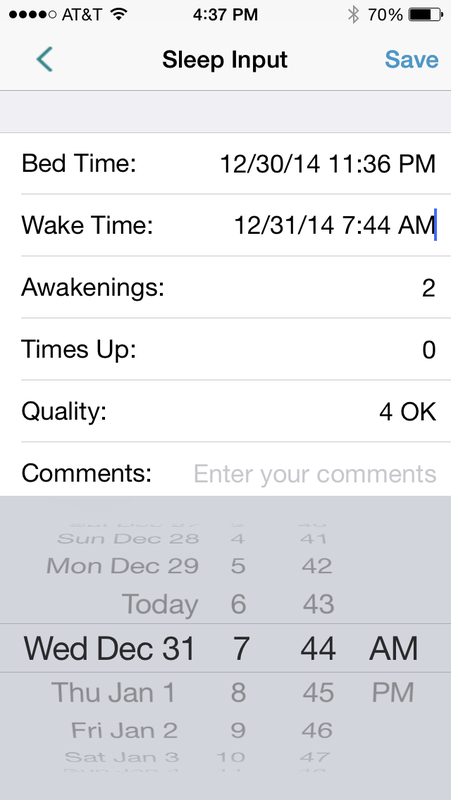 In Fitdigits you can manually enter in your sleep data as well. 4. You will now be taken to the Sleep Input page. Enter in your Bed Time, Wake Time, Awakenings, Times Up, the Quality of your Sleep and any comments you may have. All of these factors will determine your sleep score. 5. Tap Save when you are finished. You will now see your sleep score. It is important to track your sleep, and now you can with Fitdigits! While the holidays are often thought of as a magical time of year, this season can also be stressful for those who gripe about money, family issues and putting on extra pounds. 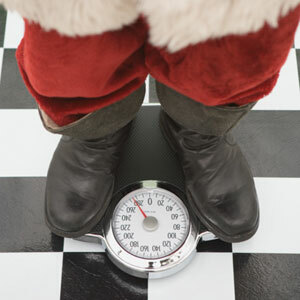 In fact, a survey by Consumer Reports found that 34% of Americans say gaining weight is what they dread most about the holidays. Luckily, this worry can be easily avoided by simply working off the extra calories. However, carving out time to go to the gym or on a run is an entirely different issue. While most peoples’ schedules are jam-packed with corporate gatherings, holiday parties and family obligations this time of year, it’s important to find ways to fit fitness into your daily routine. Follow these six workout tips to stay fit and beat the holiday bulge. Turn your commute into a workout. Whether you’re going to work or taking the kids to school, your morning commute is the perfect time to be physically active. You can walk or ride a bike to work or school and burn extra calories. Just make sure to plan extra time in the morning to get to your final destination. Plan active activities with your family. Instead of sitting around and indulging in chips and sweets while watching reruns of the Christmas Story, get the family out on a walk around town to look at store window decorations and holiday lights, or perhaps go for a fun ice skating outing. Track your weight and activity. The holiday bulge can creep up when you aren’t watching, and that’s why it’s important to monitor your calories, weight and activity to ensure you don’t slip up. 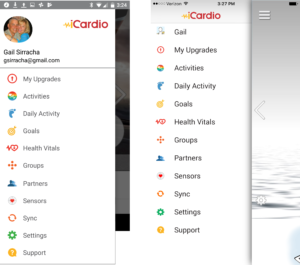 Fitdigits’s iCardio App keeps your cardio in check by tracking calories burned during any cardio activity like walking, running or riding a bike. 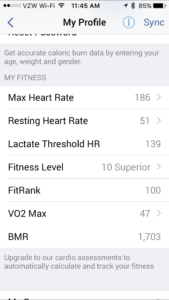 As a Fitdigits MVP member for less than $5 per month, you can set specific fitness goals, receive advanced heart-rate charts and training graphs, and much more. The data syncs with MyFitnessPal’s food journal and Fitbit’s step activity tracker for a complete overview of your all-day activity and nutrition, which will motivate you to make better food and fitness decisions. 10 minutes is all you need. A study published by the New York Times found that three 10-minute cardio intervals were just as effective as one 30-minute sweat session. Go for a 10-minute jog before work, complete 10 minutes of lunges and squats at lunch, and end the night with 10 minutes of push-ups and sit-ups. Splitting up your fitness sessions during the day ensures you keep burning calories throughout the day and works with any busy schedule. Find a fitness buddy to help you stay on track. Working out with a friend or family member holds you accountable, whether it’s meeting up at the gym or at the outdoor track. During the holidays it’s easy to lose your fitness focus. Stay connected with your buddy through a friendly fitness competition. For instance, commit to a Calorie-Burn Challenge to see who can burn more calories through the end of the year. 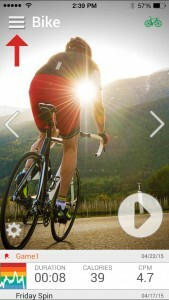 Track and share results using Fitdigits’s heart-rate monitor and keep each other motivated! One of the biggest deterrents to working out when traveling during the holidays is not having access to a gym. 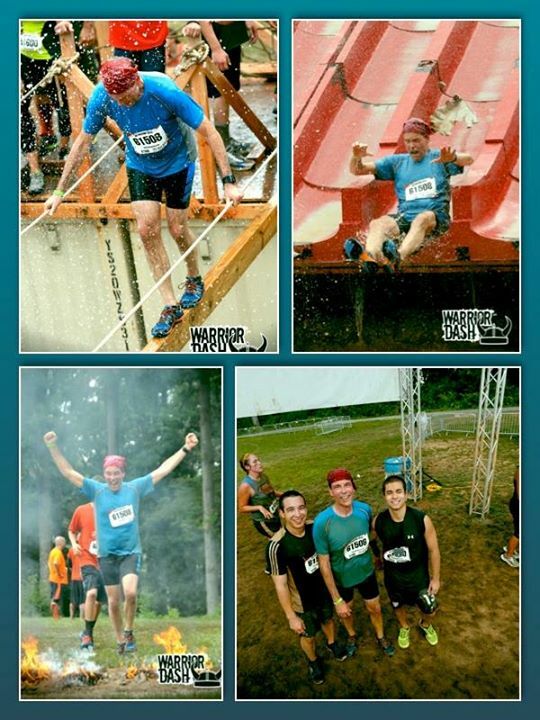 Anticipate this obstacle and bring your fitness gear with you. Lightweight resistance bands, a jump rope and a laptop are all you need to get your sweat on whether you’re staying in a hotel room or your grandmother’s basement. You can access free fitness videos online at sites like fitness.com or BodyRock.TV and set your phone timer to ensure you get in a full 30 or 60-minute cardio session. 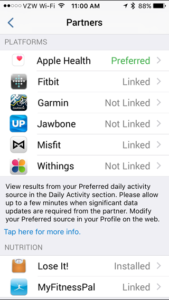 Fitdigits has partnered with the Misfit Shine and the Misfit line of activity providers to allow data to be sent directly to your Fitdigits account. You can pair with your Misfit account either on the web or in the app. 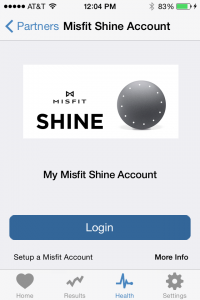 You can link your Misfit Shine with Fitdigits by logging into my.fitdigits.com, going to Partners > Misfit > Link Account and signing in with your Misfit username and password. 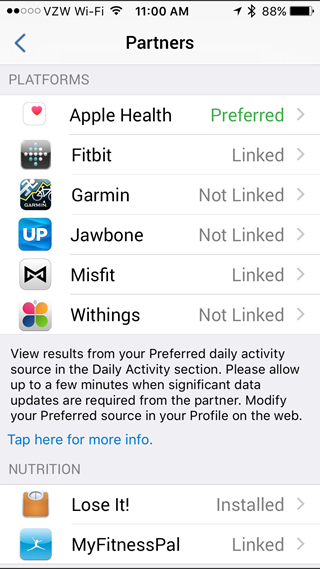 You can link your Fitdigits account with your Misfit Shine directly in the app. Tap Menu > Partners > Misfit. Then tap “Link Account” and enter in your Misfit Email and password. 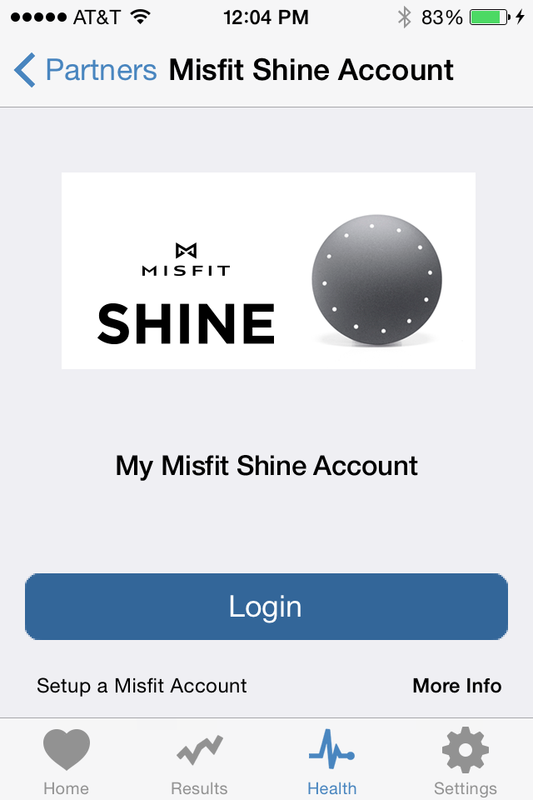 Tap “Login” and enter your Misfit account info. Countless Fitdigits Crusaders constantly consider FitRank, a metric proudly presented in perpetuity on the Profile page. Your quest for truth ends here. 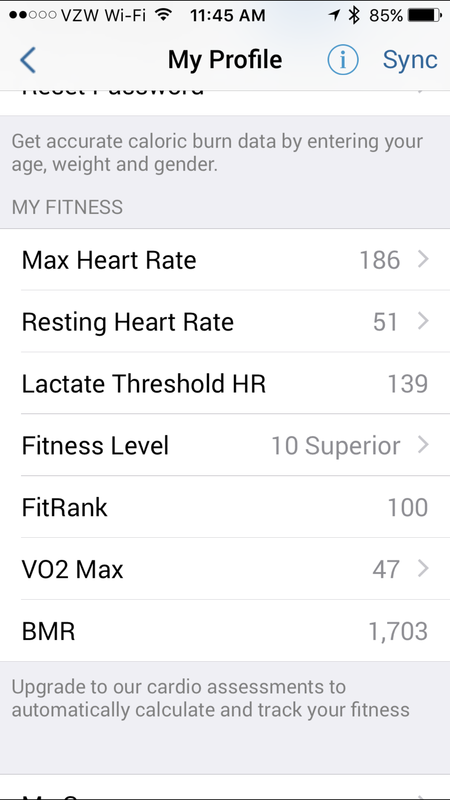 You can easily change your FitRank or VO2 Max by tapping on the respective areas – they are tied though, so change one you change the other! 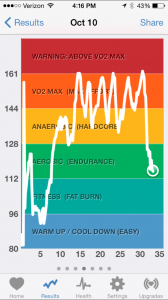 Fitdigits’s FitRank is a metric that is designed to take a persons’ VO2 Max, estimated by an Assessment or manual input if you know it from a Metabolic Assessment, and rank it on a scale of 1 to 100 based on your Age. We don’t give out more than a 100 – sorry! 100 is excellent, a 1 certainly could use improvement. We went a bit further than these, however, and actually did a 1 to 100 allocation and again a year-by-year age allocation, so, for example, instead of Ages 18-25 having a “good” VO2 Max value of 52-60, we allocated the range of 52-60 over the years 18, 19, 20, etc. We hope you enjoy the FitRank metric, and watch it go, as you get healthier, all the way to a perfect 100! Not a person was exercising, no workouts were planned. 10 pounds later we complain life isn’t fair. Make sure to have a Holiday plan in your head. To help you avoid adding winter weight to your hips. 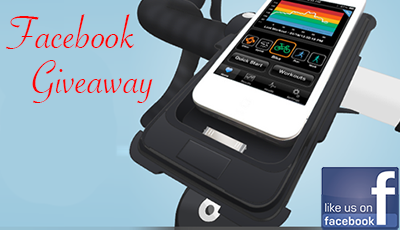 Like Fitdigits on Facebook for a Chance to Win a Bike Case! Tell us what you have learned in 2013 by taking a brief Survey. As Thanksgiving becomes a distance memory and we plunge headfirst into the holiday season, it becomes more and more difficult to lead a healthy lifestyle. Just because Mr. Claus has thrown up the white flag in the battle of the bulge does not mean you have to follow suit. Yes, tis season for parties that offer plenty of festive food and some heavy-duty Holiday *ahem* spirits, but if you follow the Fitdigits Holiday Survival guide you can make it through the sleigh bell season without adding a “winter coat”. Plan ahead. If you know that you will be going to a party or having an extravagant meal, skip the booze and eat extra healthy in the week leading up to the event. This is called having a “cheat” day, and is recommended by many health experts for those trying to lose weight. Exercise. It is easy to look at dreary weather and want to curl up by the fire, but nobody said staying healthy would be easy! Try out some interesting indoor workouts if mother nature keeps you indoors. Stay Hydrated. Making sure you drink enough water is more than a holiday tip, it is a way of life. The benefits of staying hydrated are too extensive to list, but on the most basic level water is the essence of life. A good way to make sure you are guzzling down enough H2O is to have a 32 oz water jug and carry it with you at all times. Whenever it is empty, immediately refill it. A good test to see if you are hydrated properly: your urine should be clear or only have a slight yellow tint. Swap Sugar for Stevia. When you are baking Christmas cookies for Kris Kringle and Co., ditch artificial sweetener and sugar for Stevia. Stevia is an all-natural sugar substitute with no calories, carbs, or glycemic index. Indulge yourself without the guilt with a great recipe for not Sugar Cookies, but Stevia Cookies . Drink Green Tea. When the weather outside is frightful, a cup of hot cocoa may sound delightful, but save those calories for your Christmas Ham! Instead, try drinking a hot cup of green tea. Green tea is loaded with antioxidants and recent studies show that green tea can help battle cancer, reduce your risk of coronary disease, and battle obesity. Not only can caffeine help speed up your metabolism, but properties found in green tea can also lower your blood pressure and cholesterol. Try A Winter Sport. Nothing is more apropos for the Holiday season than participating in a winter sport, and it is a perfect way to burn calories and have a great time. Even if you do not live near a mountain or have the necessary funds to go skiing or snowboarding, you can probably find a local Ice Skating Rink and channel your inner Apolo Ohno! Focus on Family and Friends, not Food. Often people make holiday plans around eating, be it going out to dinner or making a big meal. Instead, emphasize activities that take advantage of the time you get to spend with the people you love. Try out some fun games such as Loaded Questions or Apples to Apples, or stretch out the vocal cords with some Christmas Caroling! Remember, food is merely a way to fuel your body, not an activity. Take Your Vitamins. 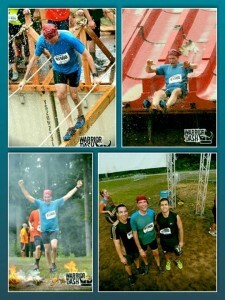 If it is cold outside, it sometimes is hard to muster up the energy necessary to work out. A great supplement is a B-Complex. If vitamins are not your style, try FRS. Give Healthy Stocking Stuffers. Usually stocking stuffers consist of chocolate and candy canes. Try to encourage a healthy lifestyle with your stocking stuffers. Instead of sweets, try giving a jump rope, Fitbit Zip, or a Heart Rate Monitor. Check Out Some Christmas Lights. The Holidays offer plenty of opportunities to get moving. A great way to be active and feel the Holiday cheer is to go on a walking tour of an area that specializes in extravagant Christmas decorations. Make it a Christmas Eve tradition! Have a Merry Christmas! If you have been following all of our health and fitness tips, you deserve a day off. That does not mean you should waste all of the hard work you have done and eat until you feel sick, but don’t count calories. 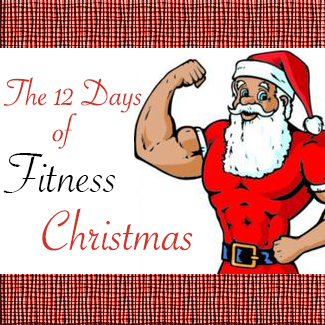 Enjoy your family, friends, and the feeling that comes with being fit and staying healthy!